97 pages! Something is very wrong in the town of Obadiah's Glen. The streets are empty. The phones don't work. The cars are all gone ? and so are the people, at least most of them. The ones who are left are hiding and shivering in fear. They know it's only a matter of time before the clowns come and get them. Because the town of Obadiah's Glen now belongs to the clowns. 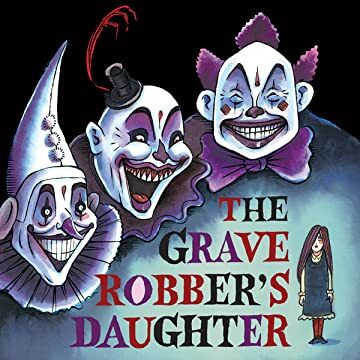 And these clowns have a special secret, one that lies buried in the old cemetery on the hill...The Grave Robber's Daughter is a deliciously scary thrill ride from the author of the critically acclaimed horror graphic novel The Chuckling Whatsit ("A masterpiece!" ? Rue Morgue Magazine) and stars Judy Drood, the highly strung and short-tempered girl sleuth. 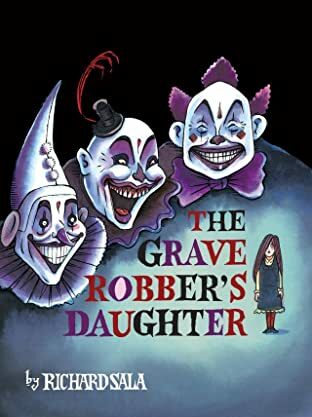 The Grave Robber's Daughter is filled with Sala's unique blend of horror and whimsy that will please his many fans and new readers alike.